Rear Muffler Seat Arosa/ VW Lupo 1,0 / 1,1 / 1,4 / 1,7D, 1 x 76 mm, round, straight, with ABE High quality mufflers equipped with high gloss polished tail pipe and deep-tone sound as well as an unmistakeable look. 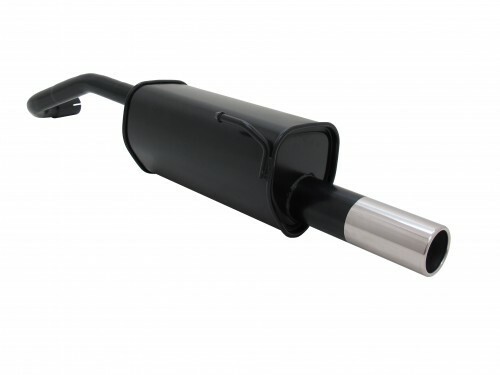 This muffler is a precise fit as a supplement / replacement for the stock part; it provides the vehicle with an optimization of engine performance and increases the efficiency by reducing congestion pressure. ABE or EU-certification = registration free! Mufflers are delivered with the specified mounting parts, e.g. clamp, reducing tube etc.